INVENTING TOMORROW follows 6 youth groups that enter their science projects for ISEF (the International Science and Engineering Fair)n- right up tot he winning announcement. The robe with docs like this is that the director choses her groups. It would be fortunate that the group the director choses wins, but often than not, it is hit and miss and intros one. Not all the 6 group come off as winners. A few do of course. But audience might learn a thing or tow about competitive – fair or unfair the process. The 6 young groups of scientists hail from Indonesia, Hawaii, India and Mexico as they tackle some of the most complex environmental issues facing humanity today – right in their own backyards. Each student is preparing original scientific research that he or she will defend at ISEF. Framed against the backdrop of the severe environmental threats humans now face,the audience is immersed in a global view of the planetary crisis, through the eyes of the generation that will be affected by it most. Considered the Olympics of high school science fairs, ISEF is the largest gathering of high school scientists in the world, attracting approximately 1,800 finalists from over 75 countries, regions and territories. All the finalists want to do a good job, but the heart of the story isn’t about whether they go home with an award. 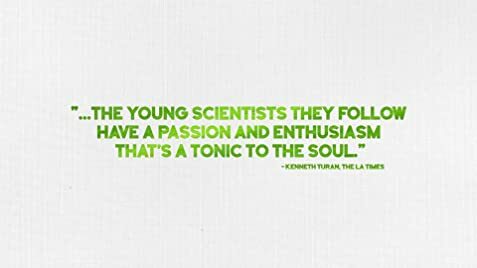 As they take water samples from contaminated lakes (Hawaii), dig up the dirt in public parks (Hawaii), board illegal pirate mining ships (Indonesia), and test their experiments in a lab, we see each student display a tenacious curiosity, and a determination to build a better future. Motivated by the desire to protect their homes, these young people are asking questions about the issues they observe in their communities, and proposing innovative solutions to fix them. The students spend close to 600 hours each on their projects, guided in their scientific quest by dedicated university mentors. At home with their parents, grandparents, and siblings, they compare the world their elders knew with the stark reality of the one they’re inheriting. Director Nix brings the personal issues into the equation. The audience sees, in an emotional moment the proud tears of a grandmother as her grandson wins the prize. One must admire the young contestants for their diligence and brilliance. Most of the terms they use are newt many. The film should spend more time explaining each project to the audience so that the audience can connect more with the characters. At bets, these projects appear difficult to understand. The judges judge hard too. The Mexicans likely did not win as they have difficulties explaining their project to the judges. The Indian also has difficulty having the audience understand her project, as she speaks a little too fast. The film shows that it is not the winning that counts. It is the beauty of competition and meeting other contemporaries in the field. 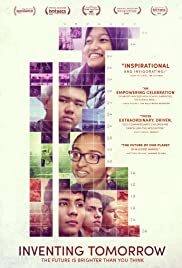 The film soars when the camera shows young strangers from different countries making friends, hugging each other for the purpose of saving the environment.